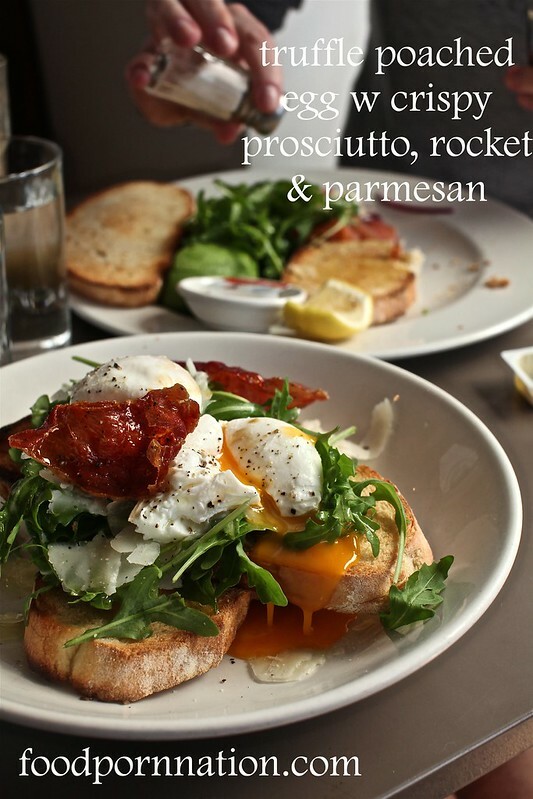 Swell Restaurant is said to be one of Matt Moran’s favourite breakfast spots. Coming highly recommended by the man himself, I couldn’t pass up the opportunity to give it a whirl. Set against the beautiful Bronte Beach, on a beautiful day it is the perfect spot to grab a decent breakfast or brunch, soak in the atmosphere without too much damage to the hip pocket. It is a popular spot, so best to book ahead and watch out for parking. It is either extortionate or a nightmare! We begin with the truffle poached eggs which arrive plump and pulsing at the middle. The dish has the indelible scent of truffles and is served with pieces of wafer thin prosciutto, adding a lovely crunch and saltiness to the creaminess of the yolk. The sourdough is as it should having texture and crunch – positively moorish.